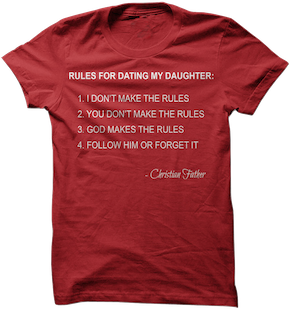 I’d love to see a t-shirt with rules for courting instead of dating. This is awesome, Doug!! Amen. I’m actually happy to see others referring to courting, too. My parents were great Christian parents, but they didn’t make sure I understood the “Why’s” even for God’s rules. This is a great way to start that conversation with the girls and the boys – good conversation starter with other parents, too. We’re always on the look out for ways to educate ourselves on ways to help our kids understand and love God’s rules and reasons. We just got a copy of a brand new book, well renewed, so to speak, I think you might enjoy called “She Calls Me Daddy: 7 Things You Need to Know About Building a Complete Daughter,” by Robert Wolgemuth. 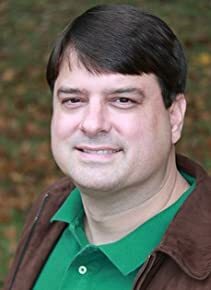 His original book of nearly the same name came out in the 90s, a best-seller, has been updated for today. His girls are grown up and give their own input along with their husbands who are daddies to girls. I understand 40% of the book is new material. It’s so unique in this way. Robert puts the anxieties of Daddy raising his girl(s) to rest, guiding you through challenges and good times – protecting, conversation, affection, discipline, laughter, faith, conduct. So great for helping daddies learn to lead, love and cherish. An invaluable investment. I highly recommend it!